32 pairs made it for today’s rerun of the Foursomes Championship postponed from early May. Most set of in murky conditions but the low cloud cover promises to clear for the afternoon. Foursomes is such a friendly format. 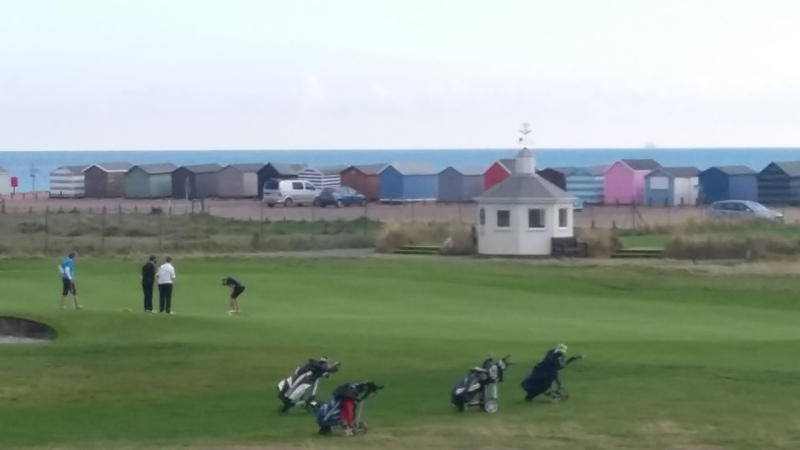 Overheard on the approach to the 18th green when player B was lining up a 30 yd chip and asked player A for the line “I’m not saying anything” which is always so helpful! Player B proceeded to chip to 3 yd and player A holed the putt for a par – just as well! Pauline Davies from Royal Winchester takes the second shot on the 9th hole after partner Elise Witt had run out of fairway! 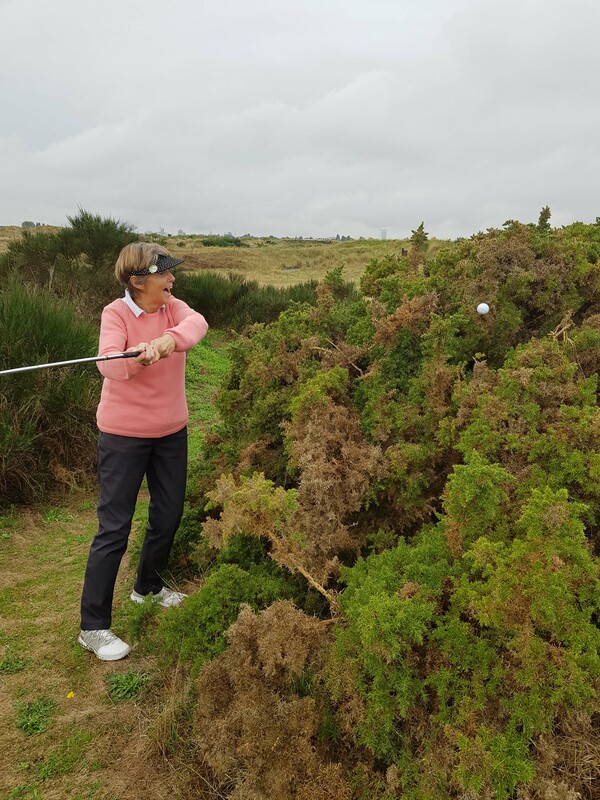 Many thanks to lady vice captain Annie MacAllister who started everyone and to the Hayling ladies out on the course ball spotting. It was tight at the top but congratulations go to Aimee Paterson and Julie Cole who won the Championship with a gross score of 75. 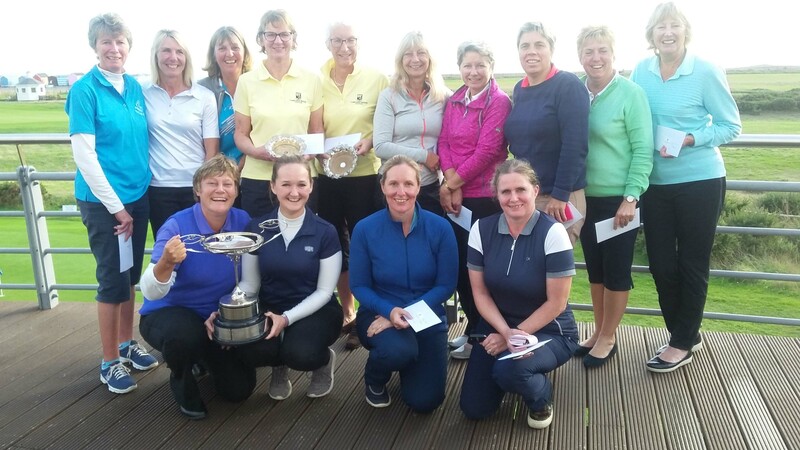 The pair looked like they would win the double until the Cams Hall pairing of Sarah Gilroy & Pauline Last came in late with a superb nett 69. Well done to all players and as County Captain Kay Walshe said as she presented the prizes, such a lot of familiar faces all coming together to enjoy the end of the season event.